Pecans.com pecans are fresh shelled daily. 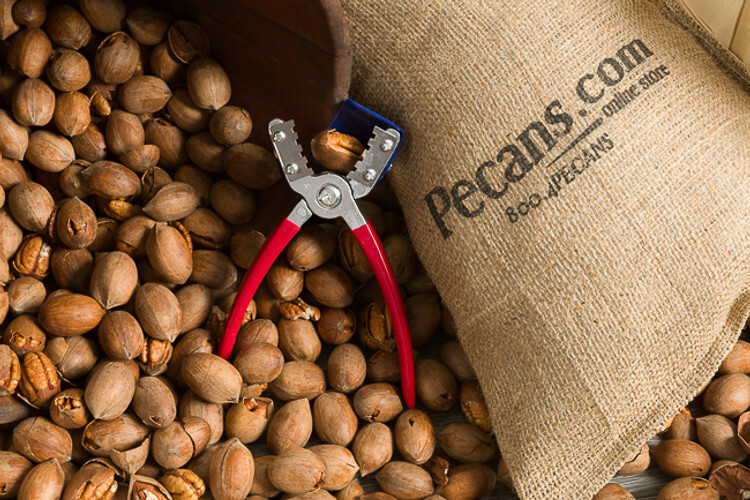 Our pecans come straight from our Texas farm to your door, with a variety too choose from. Our high quality shelled pecans, available in halves, pieces and meal, feature a rich golden color and delicious, buttery flavor. Or perhaps in-shell pecans are more your style. Sitting around the fire, and watching television with the family cracking open pecans is one of our favorite past times. Pecans.com has several pecan nutcrackers available enabling you to get to the nutmeat quicker so you can enjoy this tasty treat. Satisfy your sweet tooth with our selection of gourmet pecans, coated in chocolate, toffee, praline or amaretto. Cooking for a large group or family? Buy pecans in bulk with the fanciest pecans on the market available in 30lb fancy pecan halves or pieces.